Pastor Ainsworth Keith Morris is a native of the beautiful parish of St. Andrew, Jamaica. He is the product of Seventh-day Adventist Christian Education and minister of the Gospel for the past 22 years. Pastor Morris has been prepared academically for ministry as a graduate of Northern Caribbean University with degrees in Business Administration and also Religion and Theology. He is also a graduate of the Theological Seminary at Andrews University with a Master of Divinity and a Doctor of Ministry degree with focus on Urban Ministries. The ministry of Pastor Morris has spanned several territories across the West Indies and North America. 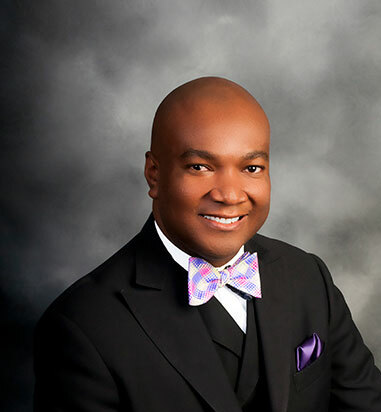 These territories included the East Jamaica Conference, the Ontario Conference the Northeastern Conference and currently the Southeastern California Conference where he serves as the Senior Pastor of the Kansas Avenue Seventh-day Adventist Church in Riverside. Pastor Morris has traveled extensively preaching the gospel, training church leaders and participating in Youth development and Outreach activities. His leadership has influenced several ministry initiatives within the church and community. He is featured in the recently released book “Preaching with Power 2” by Dr. Clifford Jones. He values highly the social and educational enhancement of the youth and the nurture and stability of the aged. He esteems spiritual professionalism and the merits of hard work knowing that by God’s grace we can achieve the best and beyond. His personal motto is: When you can’t realize the ideal, idealize the real. His greatest desire is to see those to whom he has preached and ministered in Heaven when Jesus comes because it is his determination to be in the number when the saints go marching in.